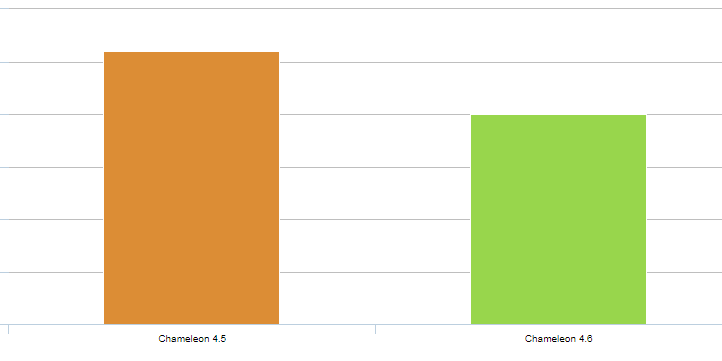 Chameleon 4.6 is only about optimization but a really huge amount of optimization and testing has been done by our programmers. Here we publish some comparisons with Chameleon 4.5 in terms of speed. Please note that your results may differ. 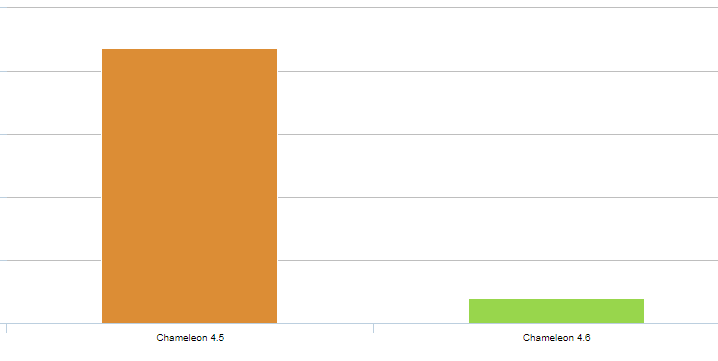 For example, if your website has very few users, you will probably not notice much difference. An average website with 100,000 users was used for testing. Also please note that a script can not be optimized as a whole. Each page that loads in your browser executes its own set of commands and db queries. 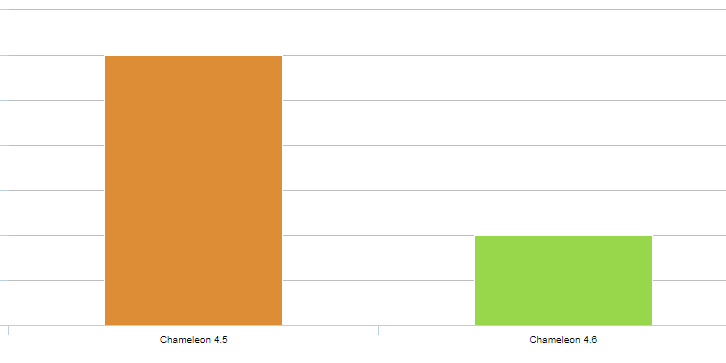 So there is no such thing as a "fast CMS" or "fast website". A fast website basically means that the pages that you open often are well optimized in terms of the commands and queries they use. Any page is a totally separate set of commands, a separate program, so to speak. 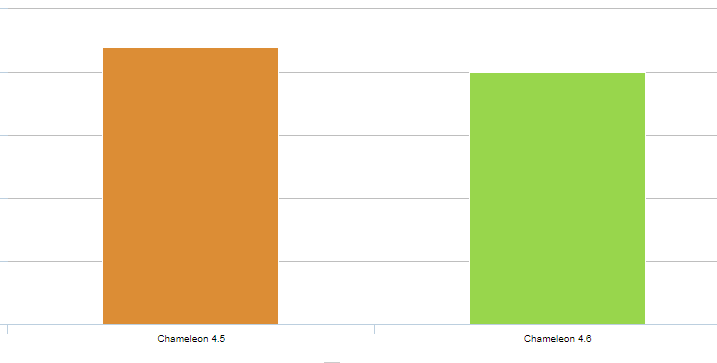 That is why a CMS can only be optimized page by page and then we can take the average page data and make some assumption that now the template on the whole is for example 50% faster. Which is of course just an assumption. 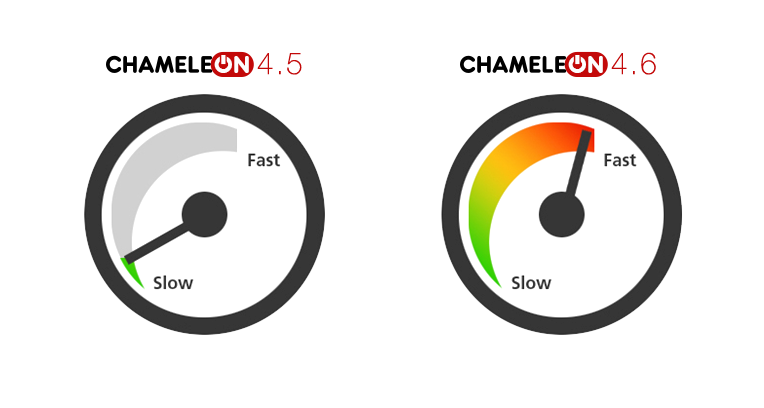 What if on your website people mainly use the page that has become 30 times faster? Than your website will require 30 times less resources. What if people mainly use a page that has not become faster? Then nothing will change on your website in terms of resources. MySQL data listed below is important when you have a lot of users. The more users you have the more work is done by the database, so the faster the database the faster the website on the whole.